Enjoy the last days of summer this Labor Day with friends, family and free-flowing mimosas and bloody Marys. Restaurants in the DMV are celebrating the holiday weekend with Monday brunch specials from a la carte selections to all-you-can-eat meals. Ambar, 523 Eighth St. SE, is serving its $39 all-you-can-eat-and drink Balkan brunch from 10 a.m.-3:30 p.m. with four kinds of mimosas and dishes like a poached pear waffle, ham and cheese crepe, and smoked salmon Benedicts. The bottomless brunch must be ordered by the whole table. 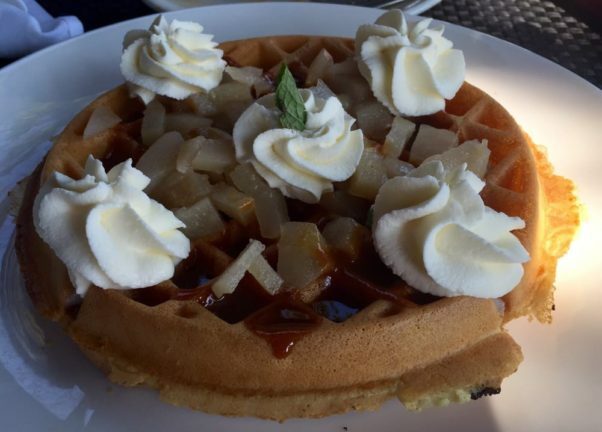 Blackwall Hitch, 5 Cameron St., Alexandria, is offering a brunch buffet from 11 a.m.-3 p.m. for $34.99 per person or $14.99 for kids 12 and under with fried chicken and Belgian waffles, carving stations and made-to-order omelets. 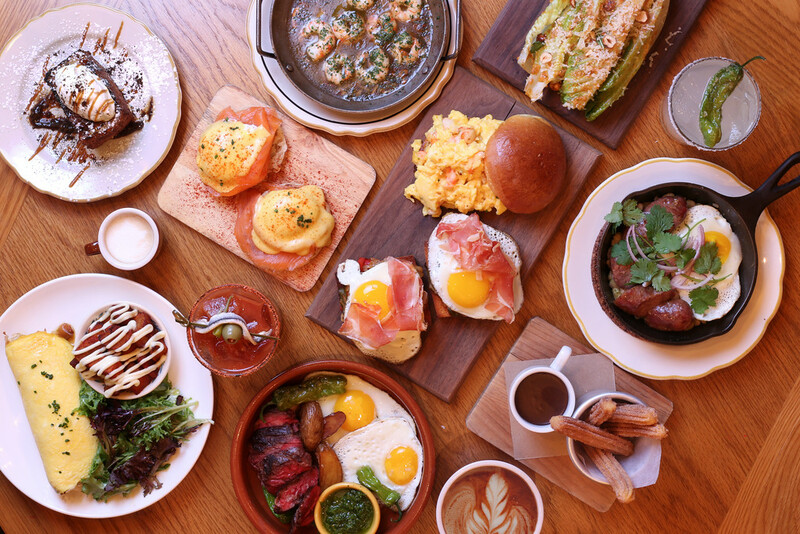 Boqueria, 837 M St. NW, is serving its unlimited $39 brunch with a choice of tapas, three kinds of sangria and sweets like a churro sundae topped with whipped cream from 11:30 a.m-3:30 p.m. The whole table must order the unlimited brunch. 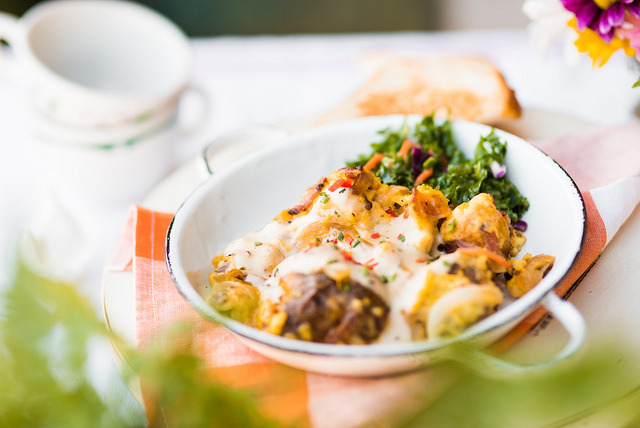 Brookland’s Finest Bar & Kitchen, 3126 12th St. NE, is offering a la carte brunch from 10 a.m.-3 p.m. featuring seasonal quiches, veggie burritos and biscuits and gravy. City Tap House, 901 Ninth St. NW, is hosting a Labor Day Crabfest from 11 a.m.-5 p.m. Maryland blue crabs will be $45 for 12 and $25 for six. Also on the menu are Old Bay fries, $5; hushpuppies, $6; corn on the cob, $5; and Flying Dog drafts, $5. There will also be a limited lunch/brunch menu available. Commissary, 1443 P St. NW, is serving its $55 breakfast for two with two coffees, two entrees and a pitcher of Bloody Mary or mimosa along with a la carte dishes like omelets, potato pancakes and breakfast tacos from 9 a.m.-4 p.m. with bottomless mimosas or Bloody Marys for $15. 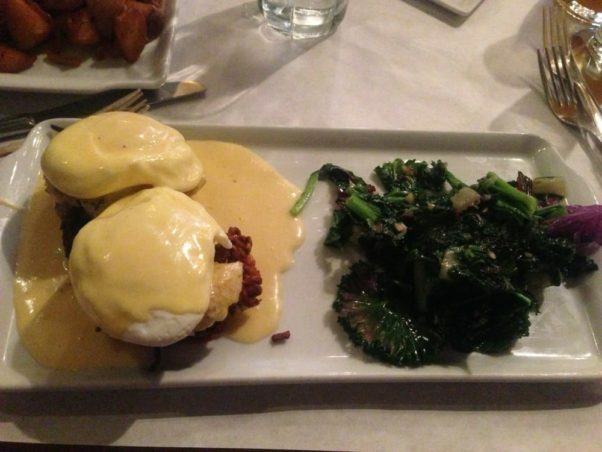 Take your dog to brunch at Copperwood Tavern, 4021 Campbell Ave., Arlington in the Village of Shirlington. The patio is dog friendly and will offer a la carte dishes (you can eat inside too, without your dog) such as blue crab Benedict or duck hash from 9 a.m.-4 p.m.
Cuba Libre, 801 Ninth St. NW, is serving its unlimited tapas brunch from 11:30 a.m.-2 p.m. for $29 per person with dishes including one-eyed ropa vieja hash, a chorizo-potato omelet and a chocolate waffle. Unlimited brunch cocktails are available for $16.50. All guests must participate. The dishes can be ordered a la carte brunch is available from 11:30 a.m.-3 p.m.
El Centro D.F., 1819 14th St. NW and 1218 Wisconsin Ave. NW, is serving its $35 all-you-can-eat-and-drink Mexican brunch from 10 a.m.-3 p.m. with carne asada quesadillas, chilaquiles and margaritas. Everyone at the table must order the bottomless brunch. Farmers Fishers Bakers, 3000 K St. NW, will serve its buffet-style brunch from 9 a.m.-2 p.m. with dishes including honey pot-fried chicken, eggs and cinnamon rolls. Coffee and ice tea are included. Cost is $29.99 per person or $14.99 for kids ages 6-12. Georgia Brown’s, 950 15th St. NW, will serve a special a la carte plated brunch from 11 a.m-7 p.m. with Southern dishes such as corned beef and duck hash, eggs Charleston with fried green tomatoes, poached eggs and hollandaise sauce, and Carolina shrimp and grits with andouille sausage. Brunch cocktails are $12 and bottomless mimosas and Bloody Marys are $25. Grillfish, 1200 New Hampshire Ave. NW, is serving its three-course seafood brunch with a complimentary mimosa, Champagne or Bloody Mary, fresh-shucked oysters, lobster-poached eggs, crab cake Benedict and more for $35 from 11 a.m.-4 p.m. A-la-carte and kids menus are also available. Lavagna, 539 8th St. SE, will serve an a la carte Italian brunch from 10 a.m.-2:30 p.m. with dishes like eggs Florentine, spaghetti carbonara and bacon risotto. Bottomless mimosas are $12. Logan Tavern, 1423 P St. NW, is serving it’s a la carte brunch from 11 a.m.-4 p.m. with dishes such as French toast with caramel-pecan sauce, a crab omelet and huevos motuleño with eggs, turkey, avocado, plantains and black beans over a wheat tortilla with sour cream and salsa. Lupo Verde, 1401 T St. NW, will serve it’s a la carte Italian brunch from 10:30 a.m.-3:30 p.m. with variety of antipasti, breakfast pizzas, house-made pastas, egg dishes and crepes. Diners can also choose the $35 “Social Brunch” that includes one antipasti, one side dish, two pastas or egg dishes and one brunch cocktail. It must be ordered for the entire table. The Majestic, 911 King St., Old Town Alexandria, will be serving its usual a la carte weekend brunch from 10:30 a.m.-4 p.m. on Monday with dishes including fresh baked cinnamon rolls, a blueberry Dutch baby and eggs in purgatory. Masa 14, 1825 14th St. NW, will serve its prix fixe brunch from 10 a.m.-3 p.m. for $39 with unlimited brunch drinks along with offerings such as pork belly Benedict, chilaquiles and smoked chicken hash. It must be ordered for the entire table. Orange Anchor, 3050 K St. NW, is serving a la carte brunch from 10 a.m.-3 p.m. with a view of the Potomac River from the Washington Harbour and dishes like blue crab Benedict or buttermilk Belgian waffles. Bottomless pitchers of mimosas, Bloody Marys or orange crushes are only $10 per person with purchase of an entree. Palette 22, 4053 Campbell Ave., Arlington in the Village of Shirlington, will serve its $25 bottomless weekend brunch from 10 a.m.-3 p.m. with international street food like crab arepas Benedict, breakfast tacos and Basque-style baked eggs. Sparkling drinks and Bloody Marys are $2.22 each with the bottomless brunch. 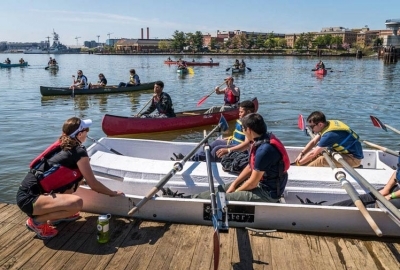 Pearl Dive Oyster Palace, 1612 14th St. NW, will serve its regular a la carte brunch menu from 10 a.m.-3 p.m. with fresh-shucked oysters, daily doughnuts, potato latkes, a daily crepe, chocolate filled beignets, sticky cinnamon rolls or a Cajun sausage skillet. Bottomless orange or grapefruit mimosas are $20, but the entire party must participate. The Pig, 1320 14th St. NW, will serve it’s a la carte brunch from 10:30 a.m.-3 p.m. with dishes like the pig dip sandwich, brains and eggs, and a smoke pork benedict. The Riggsby, 1731 New Hampshire Ave. NW, is offering 50 percent off any bottle of Champagne or sparkling wine along with it’s a la carte brunch from 11 a.m.-3 p.m. featuring avocado toast with Maryland crabmeat, Maryland lump crabmeat has with poached eggs and buttermilk pancakes. La Sandia, 7852L Tysons Corner Center, McLean, will serve its a la carte brunch from 11 a.m.-3 p.m. that includes huevos rancheros, carnitas sopes eggs Benedict and a breakfast relleno de tamal. Station 4, 1101 Fourth St. SW, will serve it’s a la carte brunch from 11 a.m.-3 p.m. with selections such as a Mardi Gras omelette with andouille sausage and crawfish, brioche French toast with seasonal fruit or a croissant sandwich with scrambled eggs, diced ham, onions, green peppers, tomatoes and melted cheese. Diners can also order endless bloody Marys and mimosas along with one brunch entrée for $30. 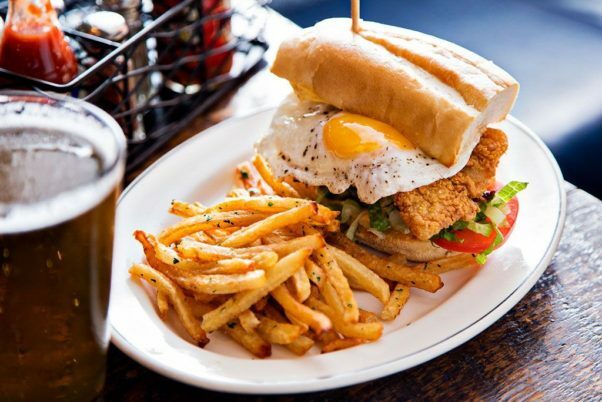 Teddy & the Bully Bar, 1200 19th St. NW, is serving its normal $45 bottomless brunch with dishes like béarnaise chicken benedict, a waffle station and classic huevos rancheros along with bottomless mimosa and Bloody Marys from 10:30 a.m.-4:30 p.m.
Tico, 1926 14th St. NW, is having a Labor Day “disco brunch” from 10 a.m.-3 p.m. with $25 bottomless mimosas, dishes like duck-confit and green chile hash or a Serrano ham and grilled cheese all served with a side of disco music. Toro Toro, 1300 I St. NW, is offering its unlimited brunch for $39 from 11 a.m.-5 p.m. with a choice of Pan-Latin small plates including papas bravas, tortilla Espanola and Mexican-chocolate waffles. Brunch includes a bloody Mary bar, and a bottomless supply of featured cocktails. 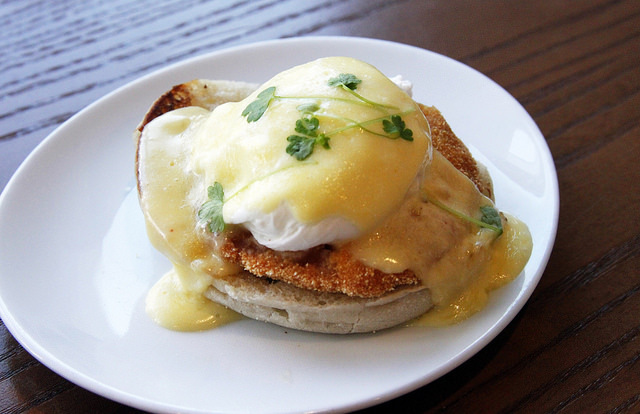 Tupelo Honey Café, 1616 N Troy St., Arlington, serves brunch every day from 9 a.m.-4 p.m. including Labor Day with hearty Southern dishes like steak and eggs or sweet potato pancakes and $3 mimosas. Zengo, 781 Seventh St. NW, is serving its $39 bottomless Latin-Asian brunch from 10 a.m.-3 p.m. with dishes such as Korean fried chicken, lobster-chipotle grits and pork belly and Poblano hash accompanied by free-flowing libations such as guava mimosas and sake sangria.